Recent studies are renewing concerns about cellphone radiation and the risk of brain cancer, especially among children. Several groups, including the American Academy of Pediatrics, are demanding more studies and a re-evaluation of radiation standards set by the government. The popularity of mobile wireless devices has exploded over the past decade. Once considered a luxury item for the wealthy, global cell phone use is becoming almost universal. Some estimate that 5 billion people will have cell phones by 2017. This rapid growth of mobile technology has made studying the health impacts difficult. Fears about cell phone use causing brain tumors first surfaced in the 1990s. These fears subsided after medical studies failed to find a link between brain cancer and cell phone use. However, brain cancer can take decades to develop, and the science has not caught up to the new technology. The radiation standards for cell phones set by the Federal Communications Commission FCC have not been updated since 1996. Children are especially vulnerable to radiation, due to the thinness of their temporal bone. The bone is the thinnest bone in the body and is thinnest on very young children. 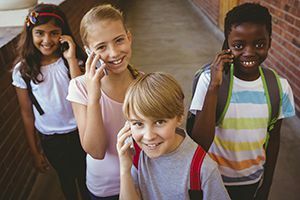 Since more children are using cell phones now than in the past, pediatricians are calling for an overhaul of the FCC standards to minimize risk. New phones also have new wireless technologies, and users are more attached to them. Cellular phones from two decades ago did not have wireless internet access or Bluetooth technology. There was also less of an always on culture, with fewer people glued to their phones day and night. These changes may warrant re-examining health risks associated with mobile device usage. In addition to cancer risks, a group of scientists from around the world has expressed concern about other negative health effects from cell phone use. These include effects on sperm quality, stress on cellular proteins and changes to brain cell metabolism. If you suspect cell phone radiation(http://www.edwardslawok.com/cell-phone-radiation-lawyers.html) has impacted the health of you or a loved one, you may be entitled to compensation. The Brandner Law Firm will fight to get you the justice you deserve. Call today for a free consultation.